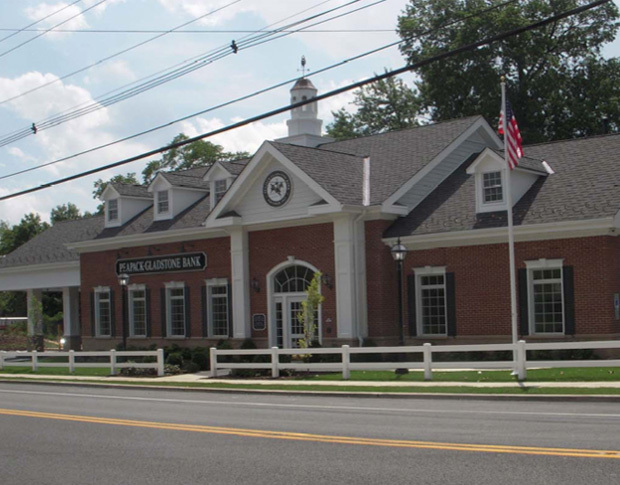 Peapack-Gladstone Bank - Gladstone Design, Inc.Gladstone Design, Inc.
From the design and approval of new branches to the renovation of existing bank locations throughout northern New Jersey, Gladstone Design, Inc. has assisted Peapack-Gladstone Bank and its operations for over 20 years. Gladstone Design, Inc. designed and secured approvals for over 35,000 sq. ft. of new and expanded branch locations in addition to numerous drive-thru and ATM facilities.